There has been growing interest among social scientists in recent years in the ‘science of happiness’. This has also found favour with politicians, and from April – via a ‘happiness index’ – the National Audit Office will seek to establish the key areas that matter most to British people’s well-being. Should this approach take hold it threatens to redefine the role of government, which has traditionally directed much of its efforts towards the aim of promoting economic growth. Listen to enthusiasts (Lord Layard or the ‘Action for happiness’ movement for instance) and one could be convinced. Happiness (or ‘well-being’, the two words are often used synonymously) can be measured, and inferences can be drawn about what makes us happy or unhappy. Individuals and governments can then be directed towards behaviour and policies which produce the greatest happiness and the least unhappiness. As a result, overall, people are more content. What should psychiatrists make of this happiness agenda? Even if they are not depressed, many of our patients are unhappy. If we are in the business of reducing mental suffering then we could choose to enthusiastically promote actions that increase happiness. This would be in the same way that a hepatologist might wish to endorse sensible drinking. 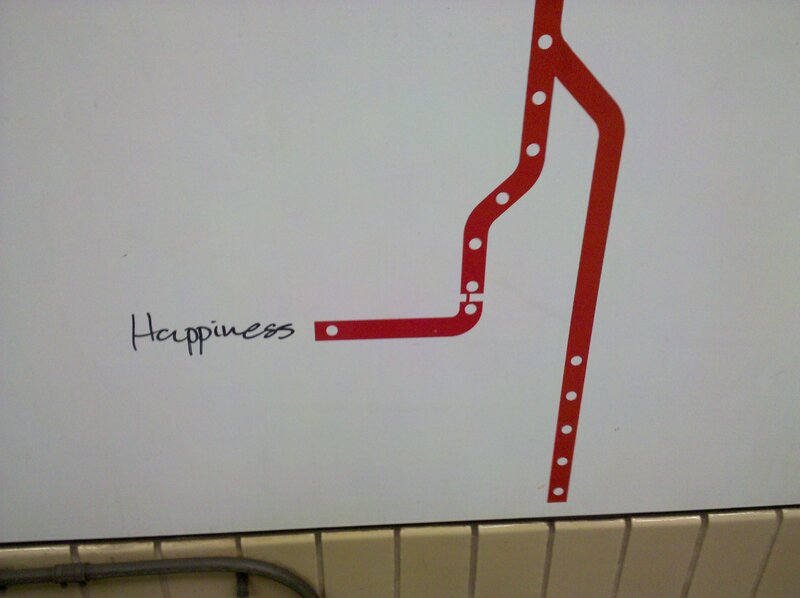 Happiness has a subjective nature and is a notoriously difficult thing to pin down. What makes one person happy does not make everyone happy; indeed what makes one person happy may make another person unhappy – think of a child’s glee at tormenting a sibling. These conceptual difficulties with happiness are not in themselves a reason not to try to increase happiness, but should at least inform us to proceed with caution. Is promoting subjective well-being anything but a personal matter? A top-down approach may struggle to address the complexities at play. One notes for instance that some types of happiness are ‘better’ than others. Campaigners for happiness often observe that the ways in which we ostensibly seek pleasure – wanton consumption and recreational drugs to name but two – do not bring ‘real’ happiness. But can such a distinction actually be made? I also have more practical concerns. Serious steps towards promoting happiness would require our politicians to change their priorities away from promoting consumerism and toward a more equable society. These are actions they are likely to be unwilling to take. The Action for Happiness campaign does talk about ‘actions to create a better society’. Many of its recommendations for behaviour are laudable, but they are also bland and do not challenge the status quo. The revolution offered is meek. As an organising principle the happiness agenda has no direction, no meaning, and no mention of duty or sacrifice. Psychiatrists do need to be aware of how ‘happiness’ is rising up the agenda. With happiness as a focus we may find that our patients increasingly feel that if they are not ‘happy’ they are failing. One of our roles can be to promote perspective and to remind them that even generally happy lives are still liable to humiliations, disappointments and tragedies. In fact looking on the bright side, unhappiness can be useful as it can spur us on towards changing our lives. This entry was posted on Thursday, June 30th, 2011 at 9:57 pm	and is filed under Thinking about psychiatry. You can follow any responses to this entry through the RSS 2.0 feed. You can leave a response, or trackback from your own site.